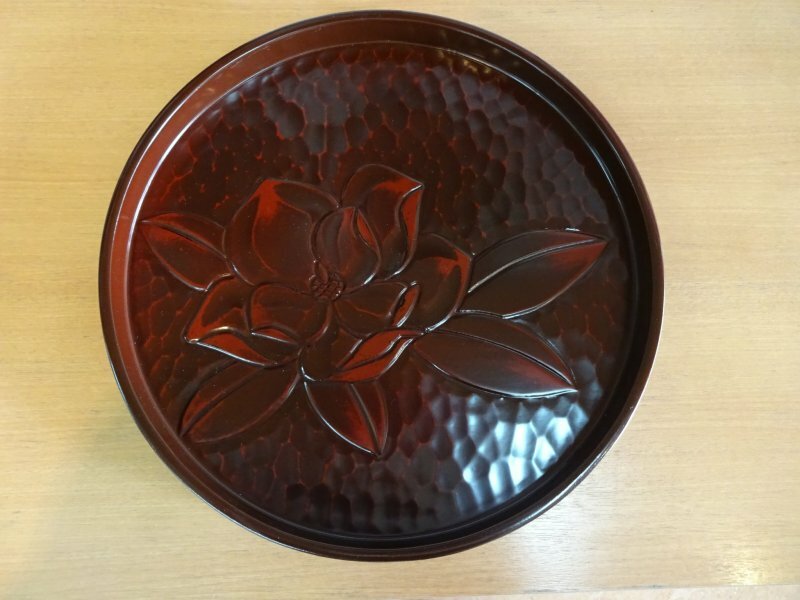 Japanese lacquerware, or Shikki, has gained popularity around the world. There are several famous centers of lacquerware production throughout the whole of Japan (except for Hokkaido). 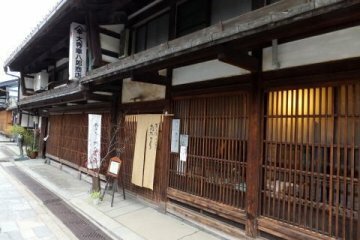 Takaoka ranks amongst the top together with Wajima Lacquerware (Ishikawa Prefecture) and Kishu Lacquerware (Wakayama Prefecture). The sap is harvested from the Urushi tree, giving the lacquer its name, “Urushi”. Shikki is also often referred to as “nurimono”, or painted things. Typically lacquer is applied to a wooden core in several layers of coating. 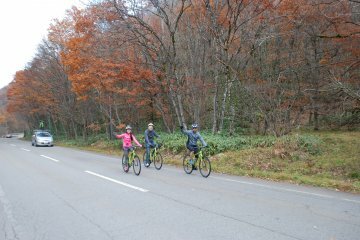 There are a number of techniques of application and decoration. 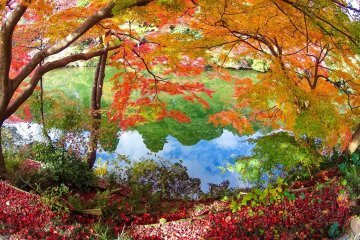 Takaoka Shikki has a tradition of 400 years. Like Takaoka metal ware, the beginnings of lacquerware production in this area reach back to Japan’s feudal period. 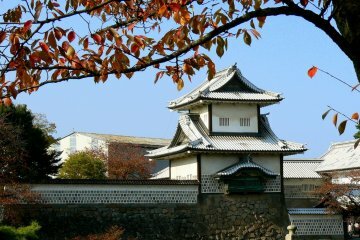 The Lord of Takaoka Castle, a member of the Kaga Clan, invited craftsmen to set up here in the hope to improve the prosperity of his fiefdom. 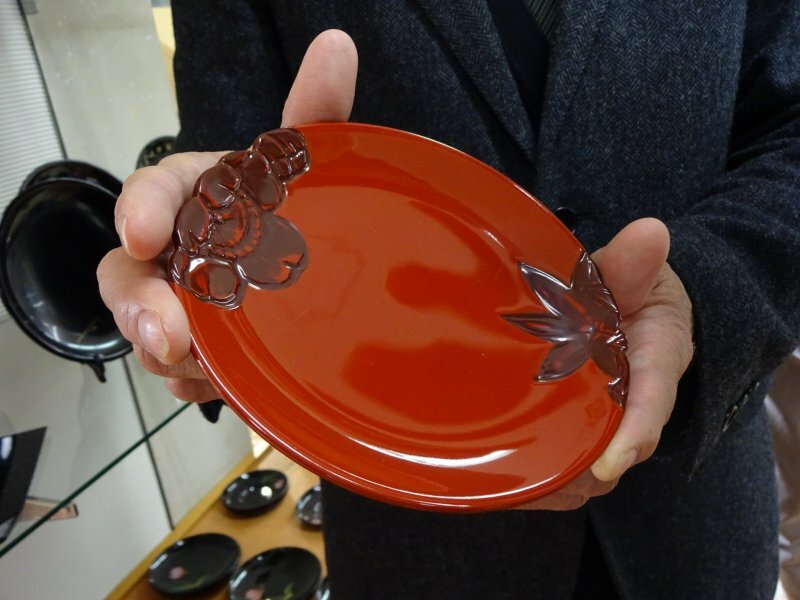 In the 18th century Takaoka craftsmen picked up methods of over-glazing on red or on black lacquerware. 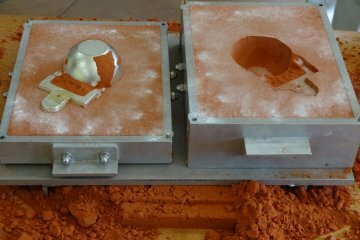 This technique was used for the production of trays and food boxes, like bento boxes. Products nowadays also include frames of mirrors, clocks and paintings. 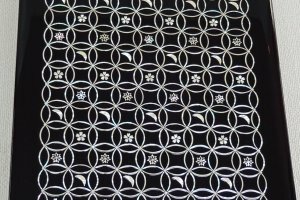 What Takaoka Shikki is most famous for is its Yusuke Nuri lacquerware. 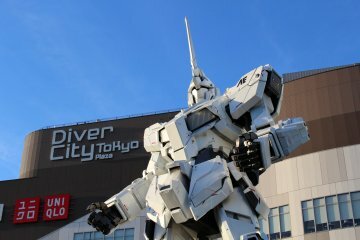 It was developed 150 years ago by local product artist Ishii Yusuke. Yusuke Nuri is now the generic name for “three techniques of Takaoka lacquerware”. 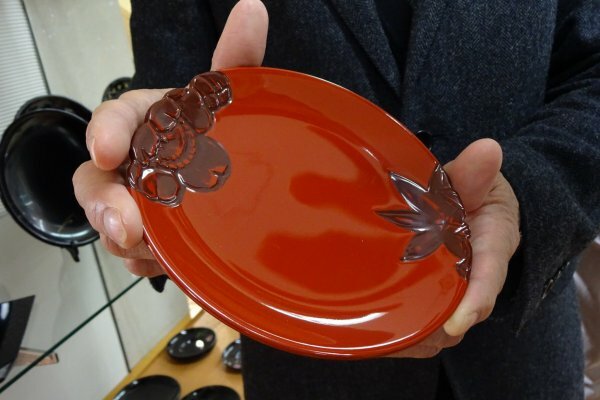 Yusuke combined all three types of Shikki in one lacquerware product. It takes 35 steps to produce a Yusuke Nuri item. 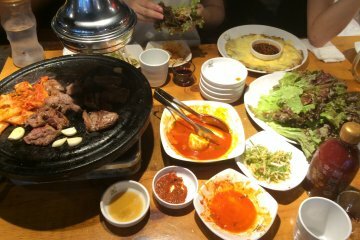 Applying one step after another can take two to three months. 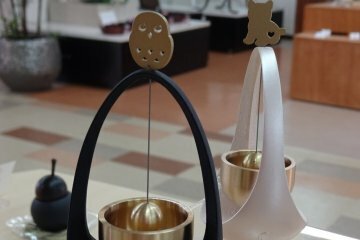 The Takaoka Regional Industrial Promotion Center (Takaoka Chiiki Jiba Sangyo Center), located near Shin-Takaoka Station, exhibits a great variety of Takaoka lacquerware items. 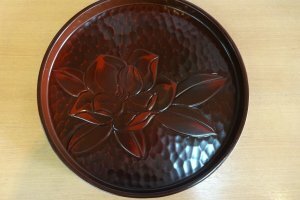 Out of the 37 production sites of lacquerware in Japan Takaoka ranks no 8 in terms of output volume. 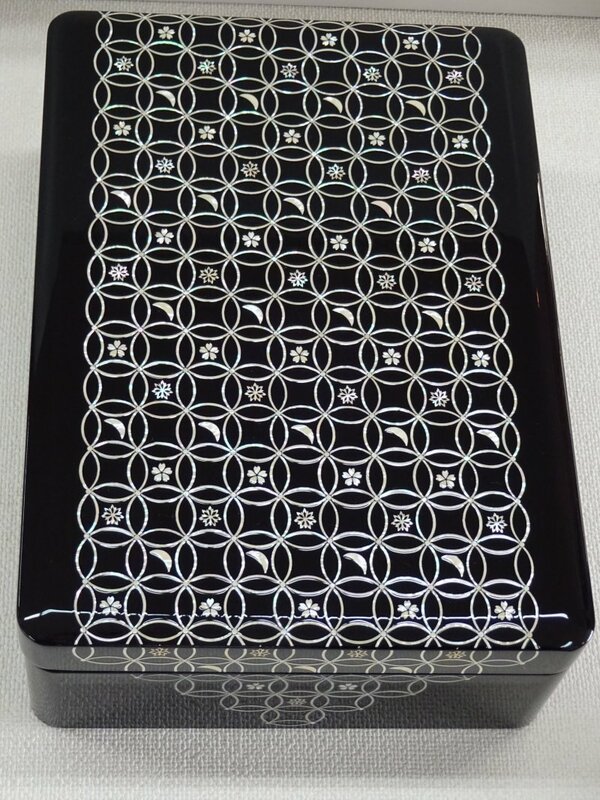 While you can purchase Takaoka Shikki on Rakuten Global Market, an online shopping site, seeing the beautiful items right in front of you makes you really appreciate the high level of craftsmanship and sophistication of Takaoka lacquerware. 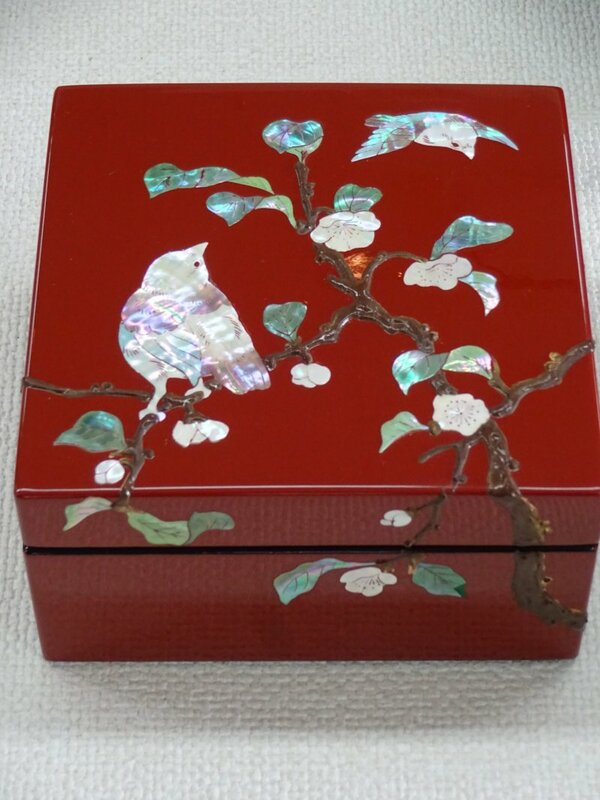 I love the lacquerware boxes - like you said, they're perfect for all manner of treasures!